Goat milk is both safe and beneficial to your skin and the best part is that unlike some other regular synthetic soaps, it doesn’t dry out your skin. Goat milk soap is just what the doctor recommends for people with dry or sensitive skin, or skin conditions such as acne, eczema and psoriasis. It is also perfect for maintaining your healthy skin. 1. It contains lactic acid, an alpha hydroxy acid that aids in breaking down dead skin cells, allowing the skin to naturally rejuvenate. 2. It is packed with essential vitamins and natural nutrients including vitamin A (known for its ability to repair damaged tissue and reduce wrinkles), as well as vitamins C and B, zinc, amino acids, citric acids as well as unsaturated fatty acids. 3. Goat milk has a PH level very close to that of your skin protecting the skin from bacteria. 1. Smother and younger skin . The alpha-hydroxy acids in goat milk are so effective because they break down the bonds that hold the dead skin cells together. Dead skin cells are broken down and removed from your skin’s surface. Leaving new cells on the surface of your skin that are smoother and younger looking. 2. Anti-ageing & skin repair. Goat milk contains many vitamins, but is particularly high in Vitamin A, which is necessary to repair damaged skin tissue, and maintain healthy skin. Also bear in mind that the Vitamin A reduce lines and wrinkles, control acne, and provide some psoriasis relief. 3. Soft and moisturised skin. Goat milk is natural moisturiser. It contains proteins, fatty acids and glycerine which allows it get absorbed by the skin instantly and creates a moisture barrier, keeping it soft, smooth and supple. 4. Acne and infection-free skin. The presence of milk proteins the products enable it possess anti-microbial properties, which help prevent the growth of acne-causing bacteria and destroy the ones already on your skin. Goat milk is known to have strong anti-inflammatory properties due to the presence of fat molecules in it. 5. Protects from skin cancer. Goat milk soap contains lots of selenium, which was proved by scientists, can protect our skin from the damaging ultraviolet rays of the sun, keeping skin cancer at bay. 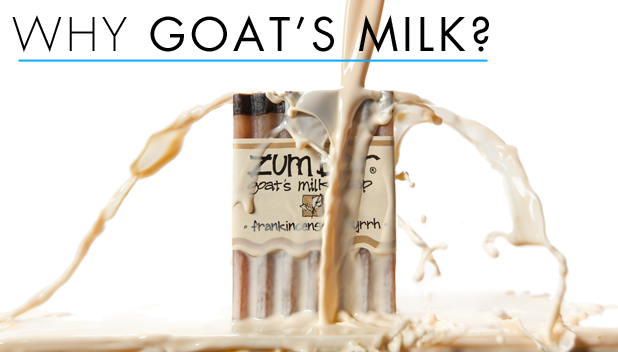 Have you ever used any goat milk bath product? Share your experiences with us, we would love to hear from you. Leave your comments in the section below….xoxo! Ankara Styles #465: Twinning With Your Minnie Me! can you recommend any product for me as per he goat milk liquid bath. Goat milk bath products r nice products. To be precise, I use Tracia lightening shower cream goat milk nd is really really nice. U cn also try it ladies, soooo nice. goat milk product is very nice, am using goat milk tracia shower cream and is nice on my body. need direction on how to use goat milk shower cream. Can you use Tracia lighting shower cream Goat Milk for facial wash? No comment yet but want to ask if Tricia Cream is not a bleaching cream and does it have a soap?